A sobriety checkpoint in Santee ended early Sunday with multiple tickets issued and one suspected drunk driver off the road. 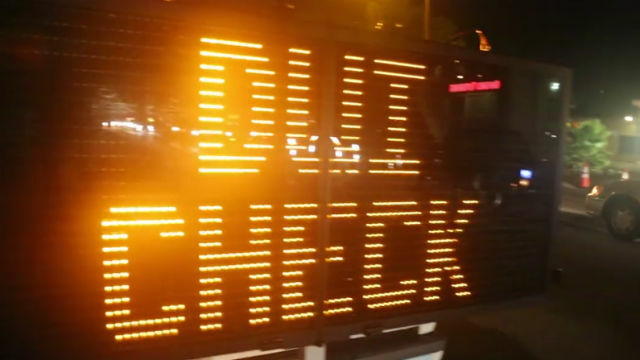 The San Diego County Sheriff’s Department conducted the checkpoint in the 8700 block of Fanita Drive between 8:30 p.m. Saturday and 2:30 a.m. Sunday, sheriff’s Sgt. Joe Passalacqua said. Deputies also issued five citations to drivers who were unlicensed or had suspended licenses, and impounded a total of six cars, Passalacqua said. More than 600 cars passed through the checkpoint, the sheriff’s deputy said.